People inside the North Carolina state Capitol, in Raleigh, look out a window upon the teachers' march Wednesday. Educators, school workers and parents joined the protests to push for greater school funding. The months-long wave of teacher protests, which has rolled through roughly half a dozen states already, swelled and crashed on the front stoop of North Carolina's Capitol building Wednesday. Demonstrators donned red and gathered in the capital, Raleigh, to demand better pay and better school funding. 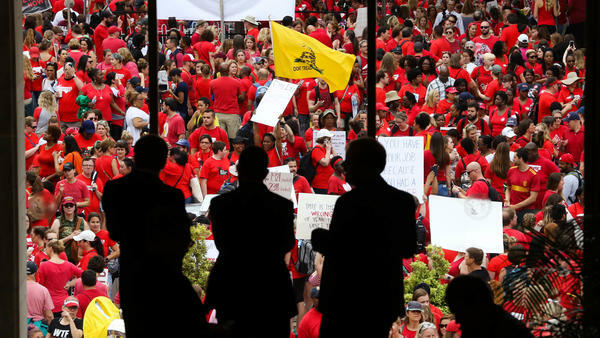 And there they stayed for hours, crowding into the opening session of the Legislature and eddying in the streets outside, gathering for a massive rally nearby organized by the North Carolina Association of Educators, the state's biggest teacher advocacy group. Schools across the state, meanwhile, were shuttered as teachers attended the protests. More than three dozen school districts closed, according to member station WUNC, which notes that that represents more than 1 million public school students — or two-thirds of the state's public school population — who had their classes canceled. The NCAE published its list of priorities ahead of the rally. These include a boost to school funding that would bring it in line with the national average; hundreds of additional health workers and counselors; pay raises across the board for public school employees — and no more corporate tax cuts until both per-student spending and teacher salaries reach the national average. The average teacher salary in the U.S. now stands nearly $10,000 higher than that of the average educator in North Carolina, according to the National Center for Education Statistics. They have joined a movement that at various points in the past three months has made waves in West Virginia, Kentucky, Oklahoma, Colorado and Arizona, where a mixture of walkouts and protests have set educators at odds with the lawmakers they say are failing them. In Arizona, a weeklong walkout affected more than 800,000 students before teachers went back to school earlier this month, satisfied — if only for the time being — with a new pay raise. Teachers in North Carolina say they see this campaign as a fight for respect. 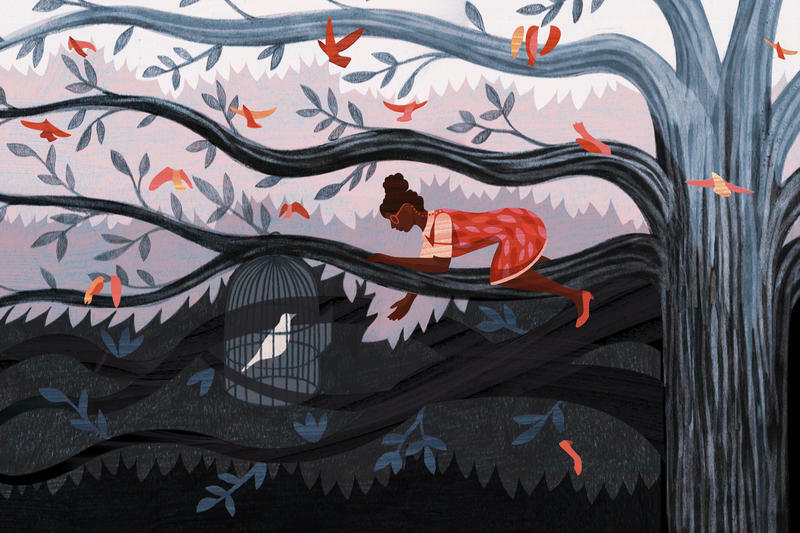 "I'm not asking for everything all at once," middle-school band and chorus teacher Seamus Kenney told NPR's Ari Shapiro on Wednesday, "but I do want to look down the road and feel that I'm progressing towards a better life." The NCAE priorities align with a budget recently proposed by the state's Democratic governor, Roy Cooper, who says he's seeking an average 8 percent pay raise this year with an eye toward reaching the national average in four years. The budget would also authorize $75 million to rein in class sizes and support for covering school construction costs. Republican lawmakers, for their part, point to the fact that teacher pay has risen each year over the past half-decade, during which time the GOP has held a commanding majority in the Legislature. "Our state's teacher salaries are among the fastest rising in the country," state Sen. Phil Berger said Wednesday, in the midst of a tweetstorm asserting that "Republicans have [been] increasing every year we've held the majority." When asked by Ari why teachers are marching in protest then, GOP House Speaker Tim Moore answered: "I'm scratching my head over that." "The folks organizing it tend to have more of a liberal political agenda, and so I think that's a big partisan part of it. And that's why, frankly, a lot of teachers that I know have said on Wednesday they're going to be in school teaching their students," Moore said. "I believe that teachers have legitimate concerns," he added, "and the thing is, we've addressed very many of those." But protesters say that to focus only on teacher salaries is to miss the point. "We're here to tell our legislators and our representatives that we need more funds to keep our buildings in good shape, to get more textbooks, more resources for our students, to just have a better environment for public education," elementary school teacher Tracy Brumble told WUNC before departing her school for the Capitol. "Yes, it'd be great to have more money in my paycheck, but at the end of the day, the future sits in my room," another teacher attending the protests Wednesday told WUNC's Rusty Jacobs. "And if they don't have what they need, how can I pump out and create amazing citizens for our country and our state, to turn back around and do amazing things? How can I do that if I don't have what I need as an educator?" During the legislative sessions Wednesday, demonstrators raised a warning of what might happen if they don't get satisfactory answers to questions like those. "Remember, remember," they chanted from the galleries. "We vote in November." Teachers across the country are pushing for better pay and increased school funding. 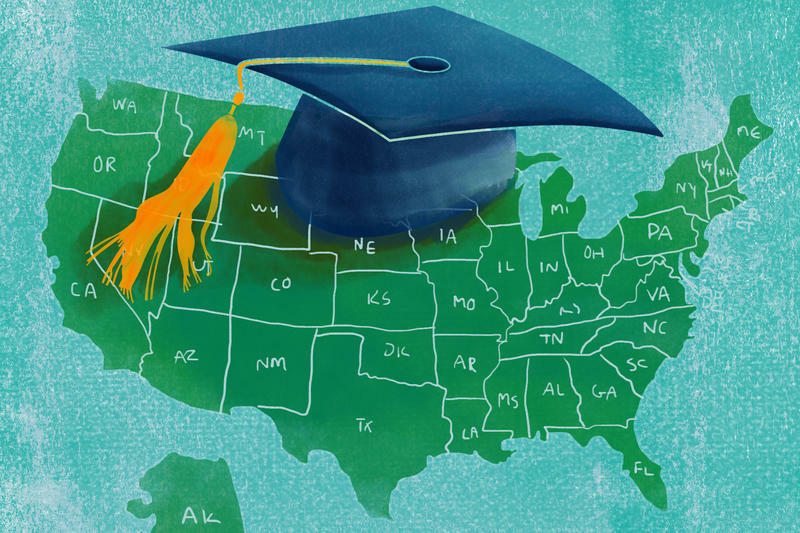 They consistently make less than other college graduates with comparable experience — even though, for many teachers, working with students is more than a full-time job. There are long days in the classroom, clubs and activities, planning and grading, and the many after-school hours spent with students. This week in our roundup, we travel from Arizona to the United Kingdom to the Philippines to bring you the education news. 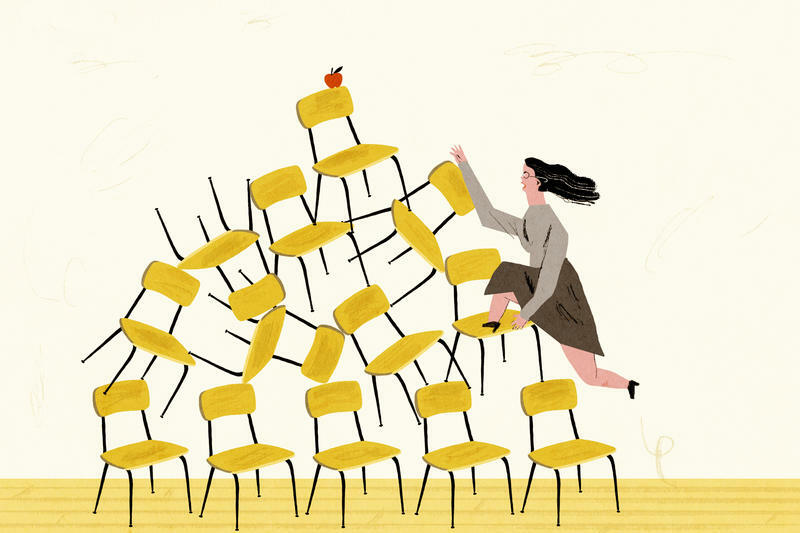 More than 9 in 10 teachers say they joined the profession for idealistic reasons — "I wanted to do good" — but most are struggling to some extent economically.